Danko Aleksic graduated at the Faculty of Forestry in Belgrade, where he has also completed two years long international master program in Forest Policy and Economics (FOPER) supported by the Finnish Ministry of Foreign Affairs. He has also participated in numerous additional international educational programs in various fields. He is about to completed master program in International Security at the Faculty of Political Science in Belgrade as a holder of the OSCE Mission to Serbia scholarship. 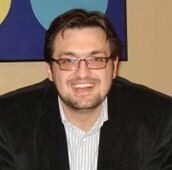 Since 2005 he actively works in the field of environment and sustainable development in Serbia, and has been engaged as consultant in numerous projects. Presently he works as Expert (Sustainable Consumption and Production, Sustainable Resource Use) within the Regional Environmental Centre for Central and Eastern Europe (REC) in Hungary.